Iron fragments x 4, possible medieval pot sherd x 1, burnt flint x 6, flint debitage x 40, chert debitage x 6, broken chert leaf shaped arrowhead x 1, broken chert(?) 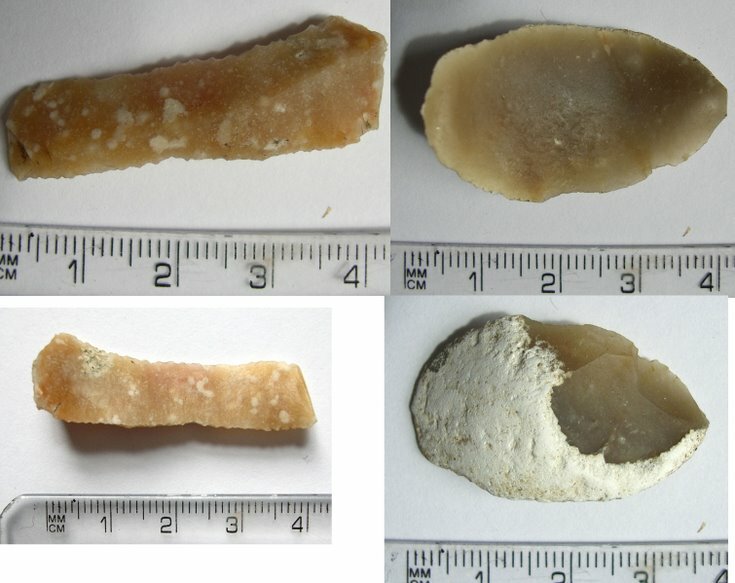 scraper x 1, chert denticulated blade x 1. Tain Archaeology Group fieldwalking finds Creag Astle 1995.